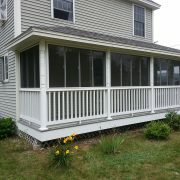 Thanks again to the crews at Clearnview Sunroom & Window for some great photos of a recent installation. They were hard at work last week installing new PGT Eze-Breeze Vertical 4 Track units into what is now a beautiful screen room. A picture of the openings before install has been shown as many of you ask how the openings should be finished to provide for a nice look after install. National Frappe Day is Oct. 4th. I am posting this now so you have time to plan! One might consider Frappes to have an identity crisis. It’s made of many different things. The dictionary definition of Frappes is that it is an ice cream beverage drink. So, what’s with all of the confusion? First of all, some definitions and recipes, are the same as the ingredients for a milkshake. Also, many frappe recipes do not call for ice cream at all. Some use whipped cream. Other recipes use yogurt in place of ice cream. Other recipes still, include alcohol. Do you care what the official definition of Frappes is? Of course not. You just care that it tastes so good, that you clamor for more. Thanks to its popularity, there are recipes galore. Perhaps the most popular today, are coffee and mocha frappes, served by coffee shops and cafes. Now that it is October maybe try a Pumpkin Frappe? The question you really need to ask is, why wouldn’t you? As we are now full on into fall, with winter just around the corner, thoughts start to move towards winterizing. If you have a screened in porch there are a lot of great videos on how to build poly inserts that you can nail into place. Of course there is a considerable amount of your time invested, plus materials, and a HOPE that the poly lasts through the winter and does blow out on the coldest February night. Assuming that is does make it through the winter, you will have a Saturday next spring taking them down and trying to find a place to store them where they won’t get damaged. Oh and seeing out through a home made poly window, good luck. …..or you can finally make the move to a PGT Eze-Breeze system and spend about 30 seconds do this exact same thing….No building, no storing, no hazy view for the winter. Click on the link below to see how easy and durable the PGT Eze-Breeze system is! We Are Now BBB Accredited!!! www.ezebreezestore.com is now a Better Business Bureau accredited business. Why is that important to you…..easy…TRUST. The BBB ensures that certain standards are met and maintained when it comes to the way in which businesses conduct themselves. Every year business join the BBB as a statement to the customer that acknowledges that you are doing business with a company that holds itself to a higher standard. Sadly ever year the BBB also revokes that privilege from businesses when they don’t continue to demonstrate that commit…..and that information is provided by YOU…the customer. So now when you order from www.ezebreezestore.com you don’t have to take our word that we think we are a great place to conduct your business, the BBB also thinks so to. Contact us today. Daryn Gladstone https://ezebreezestore.com/wp-content/uploads/2019/02/PGT_logo.png Daryn Gladstone2016-09-27 09:42:352016-09-27 09:42:35We Are Now BBB Accredited!!! 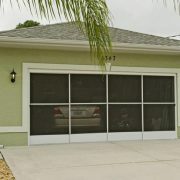 PGT Eze-Breeze Cabana doors come with many of the same options available as the PGT Vertical 4 tracks, but with a few other door specific ones as well. One of those that customers must consider is the door kick height. Pictured below are the standard heights of 14-1/4″ or 4-13/16″. While custom options are available, you will get the best bang for your buck by sticking with one of the standard options. As a University of New Hampshire Alum it was surprising to hear that a lifelong UNH librarian left his entire estate to the University when he passed away. The surprising part was that through living a simple life his estate was worth $4 million. The money has already been ear-marked for numerous things on campus. As I have said before…..random acts of kindness make the world go round. Some follow up photos to those posted previously from a PGT Eze-Breeze installation on an island in New Hampshire. For those of you who are always asking about the “clarity of the vinyl window” take a look at the photos below. Looking through 2 vinyl windows and two screens, the lake still looks pretty nice through the trees. Island Install – Why Not? This week crews from Clearview Sunroom & Window were nice enough to share some installation photos of a beautiful spot on an island in New Hampshire. Another benefit of PGT Eze-Breeze windows, they don’t weigh as much as a glass window which make them light…..which also makes it easier to row the materials out to the site of the installation. A pretty amazing spot if you ask me. Call us today about ordering PGT Eze-Breeze windows for your screen room project. Daryn Gladstone https://ezebreezestore.com/wp-content/uploads/2019/02/PGT_logo.png Daryn Gladstone2016-09-23 10:00:212016-09-23 10:00:21Island Install - Why Not? Did you know that at www.ezebreezestore.com we have some of the most competitive shipping costs around….How you ask? We work with you to help save you money….For instance if there is a major shipping terminal near your home, and you have the ability to pick up your order, then the cost of residential shipping can be avoided. Contact us today about shipping options and the associated charges. Those dollars add up and could go to other things, like a new piece of furniture in that screen room you will be spending all your time in now.